Expansion into the Phoenix market is now underway by the makers of Invisible Fence, an electronic dog fence containment system. Individuals interested in opening independent dealerships are encouraged to connect with Invisible Fence. According to the Phoenix Business Journal, three or four dealerships in the Phoenix market are planned over the next decade. Dealers would receive training and ongoing support in terms of marketing, operations, financing, customer service, and more. The dealers will become a part of a brand that has been in existence for more than 40 years and has an 84 percent market share. According to the company, dealerships begin at around $10,000 and prospective dealers are responsible for travel costs to fly to the company’s headquarters in Knoxville, Tenn. Potential dealership owners should be people- and pet-friendly individuals who also have sales or marketing experience or prior business experience. Dealerships tend to be run out of the dealer’s home but Invisible Fence offers support and advice if the dealer wishes to open their own storefront. In total, there are more than 300 Invisible Fence dealers nationwide. The Invisible Fence Brand uses 40 years of technology to help pets quickly and easily understand their boundaries safely. They boast a 98 percent customer satisfaction rate with more than two million pets using the system. A wire is discreetly installed around the customer’s property, which creates an invisible boundary. Professional pet trainers teach the pet boundaries and avoidance behaviors so pets understand and learn where they may and may not go. The pet’s custom collar delivers a warning tone and if needed, a non-harming static correction if they come too close or test the limits. 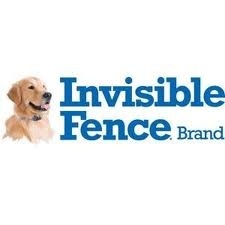 For more about Invisible Fence, visit www.invisiblefence.com.